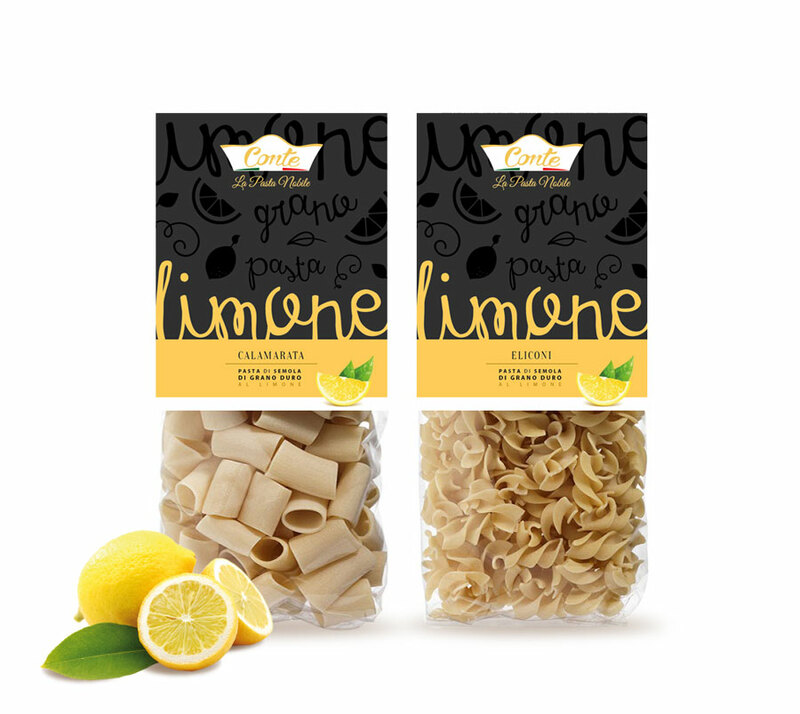 Pasta Conte is an Italian pasta factory that produces a special kind of flavored pasta. 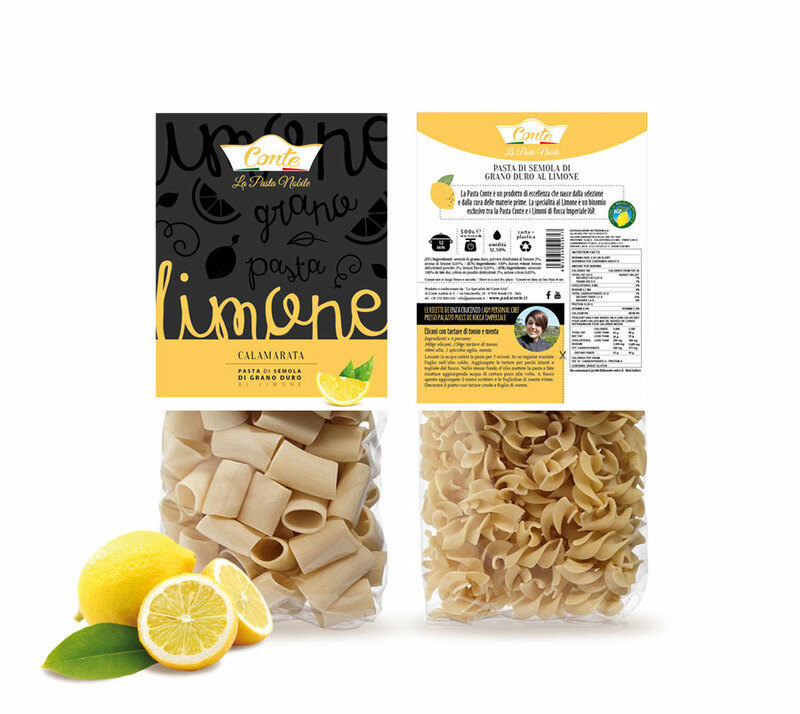 The Lemon specialty is an exclusive combination of pasta and Lemons from Rocca Imperiale PGI. 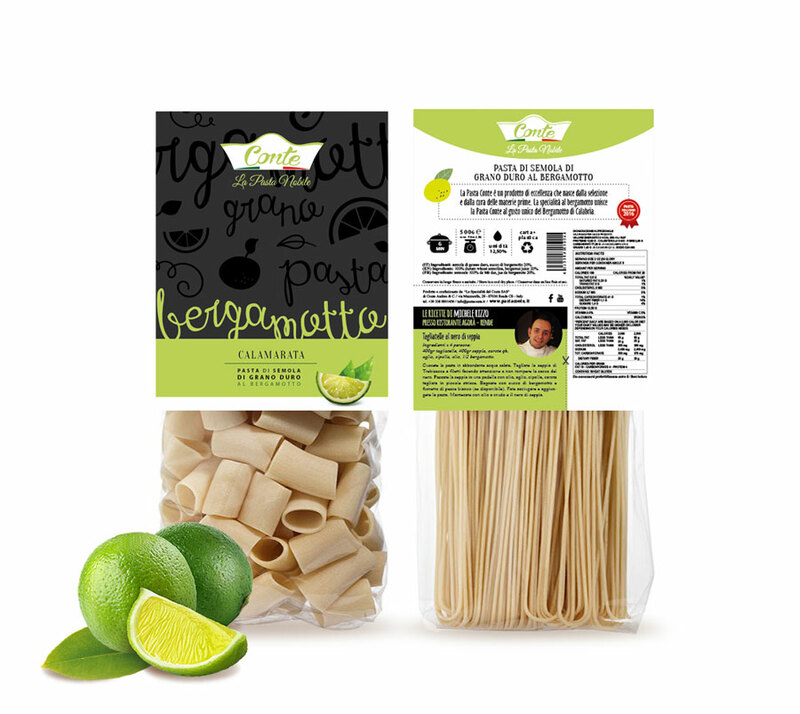 The Bergamot specialty combines the pasta with the unique taste of the Calabrian Bergamot. 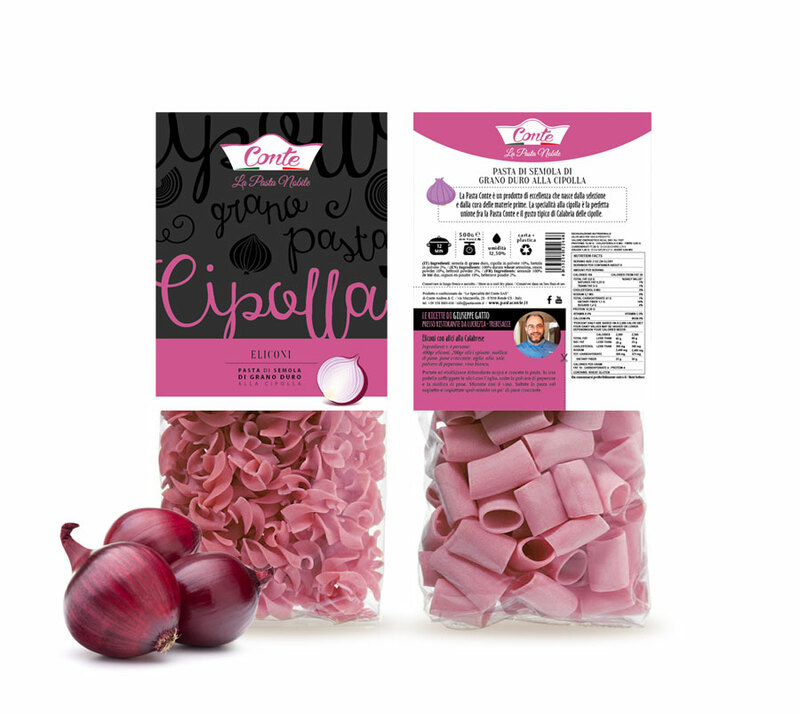 The Onion specialty is the perfect union between pasta and the taste of onions typical of Calabria. Studio La Regina took care of the packaging of this truly unique product, enhancing the particularity of strong aromas with bright colors. The chosen font refers to the decorations that the great chefs perform on the dishes. The black background with black-on-black clear UV overprint embellishes the product in a playful way and underline its uniqueness.